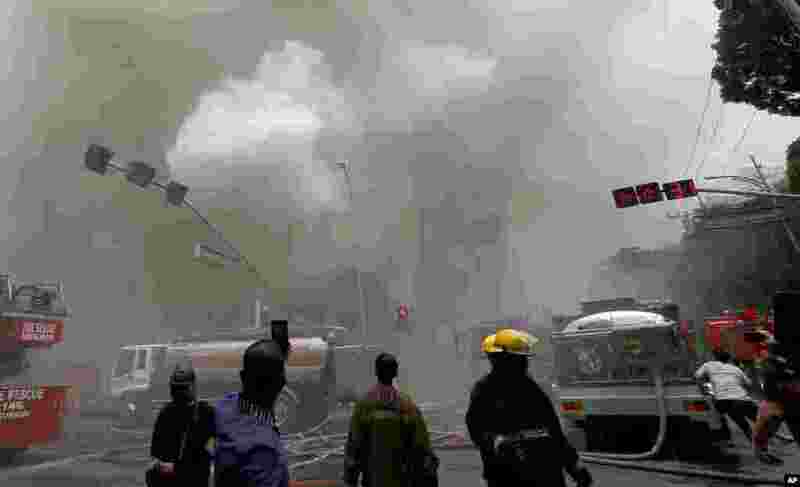 5 People, right, take cover as an explosion is heard during a fire that engulfs the Manila Pavilion Hotel and Casino in Manila, Philippines. 6 People look on, as the Vilnele River colors green during the St. Patrick's Day celebrations, at the Uzupis neighborhood in Vilnius, Lithuania, March 17, 2018. 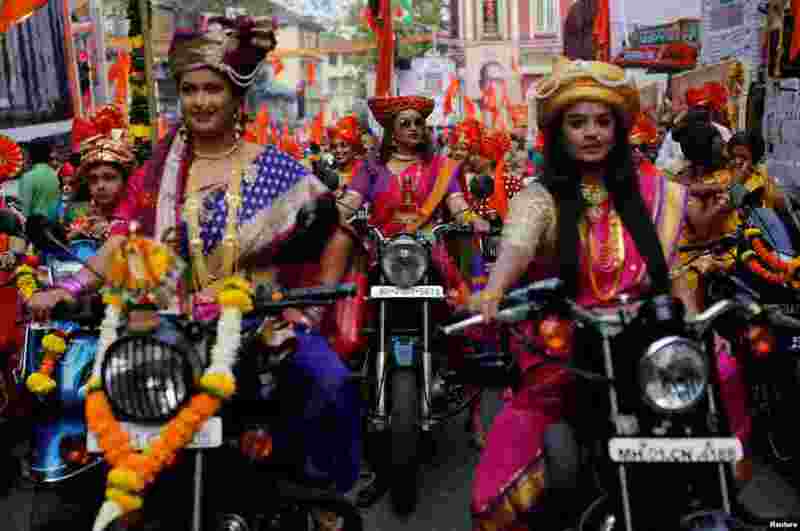 7 Women dressed in traditional costumes ride motorbikes as they attend celebrations to mark the Gudi Padwa festival, the beginning of the New Year for Maharashtrians, in Mumbai, India. 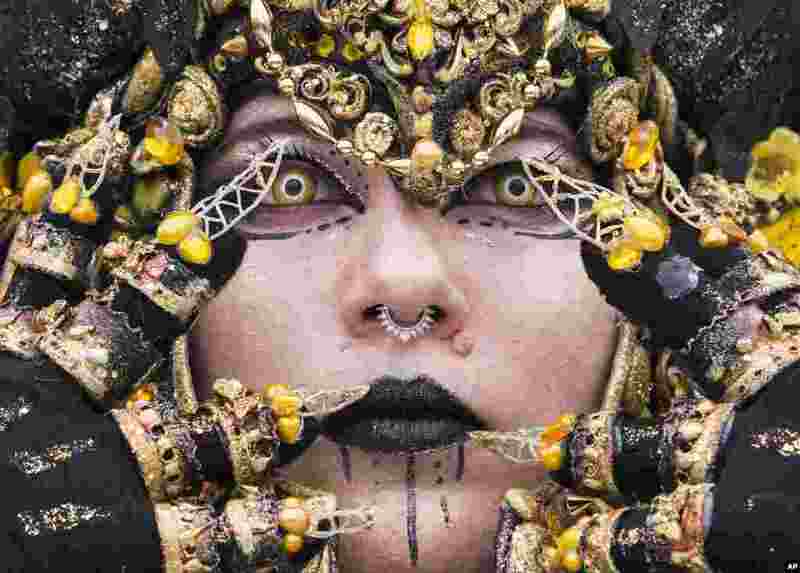 8 A cosplayer dressed in a fantasy costume performs during the Manga-Comic-Convention at the Leipzig International Book Fair in Leipzig, Germany, March 17, 2018.